A victim of last week's horrific Canada bus crash has given the gift of life to six people. 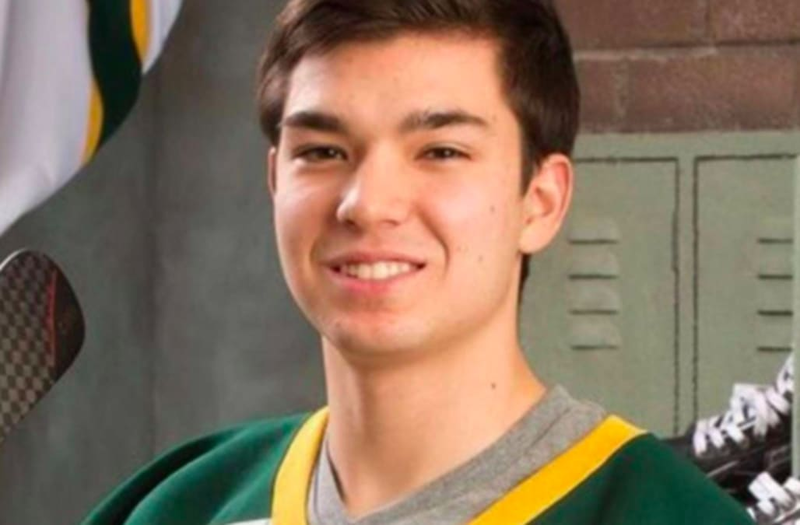 Logan Boulet was critically injured when 14 of his fellow players and staffers with the Humboldt Broncos hockey team were killed in Friday's violent bus crash. Boulet, 21, had temporarily remained on life-support to allow the organ donation he'd signed up for just weeks earlier to take place, according to the Calgary Herald. As matches were made for all the vital organs, including a single patient who would receive the both the heart and lungs, a surgical team from the University of Alberta hospital made its way to Saskatoon for the procedures. Family friend Neil Langevin posted to Facebook on behalf of the Boulets. "Logan had made it known, and very clear to his family, that he had signed his organ donor card when he turned 21 just a few weeks ago. Following the organ surgery, his other organs will be donated to science as he requested," Langevin wrote. "He is a great hero and one of the nicest people you would have been lucky enough to meet." The bus had 29 passengers, including the driver, when it crashed at about 5 p.m. Friday on Highway 35, police said. A GoFundMe campaign has been started to raise money for the victims. By Wednesday, the campaign had raised more than $8 million.